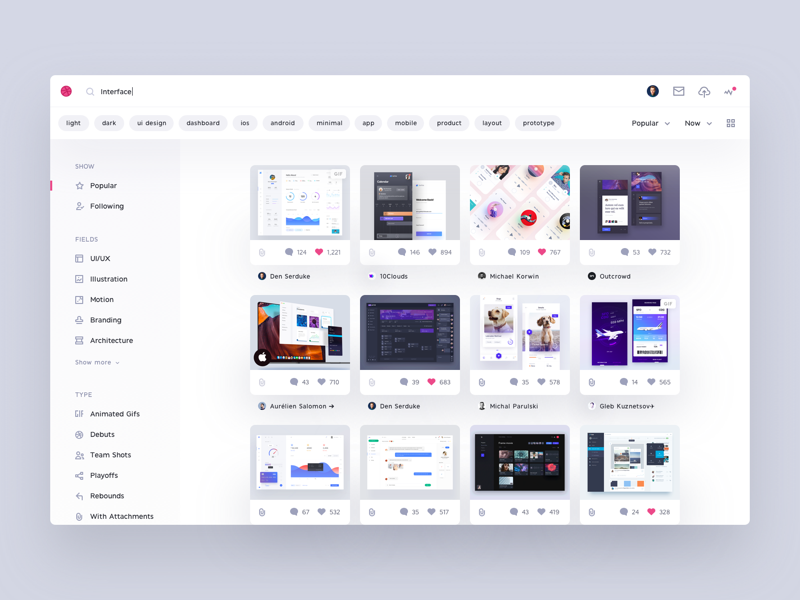 Happy to present to you my vision of the Dribbble look and feel. I wasn’t able to test my UX hypothesis out in the way the guys from Dribbble team do. So the concept is based on some UX brainstorm and things I wish Dribbble would have.